Nearly 100 U.S. cities have formally adopted ambitious commitments to power their communities with 100 percent renewable energy by deadlines set in the 2030s or beyond. Marie Donahue: You’re listening to an episode of Voices of 100%, where we’re speaking with local leaders from across the county to understand their reasons for pursuing a 100% renewable energy goal, how their city plans to achieve that goal and what these visionaries see as the future of local renewable energy. John Farrell: While dozens of large U.S. cities are making commitments to reach 100% renewable energy, fewer small communities have also made the pledge. 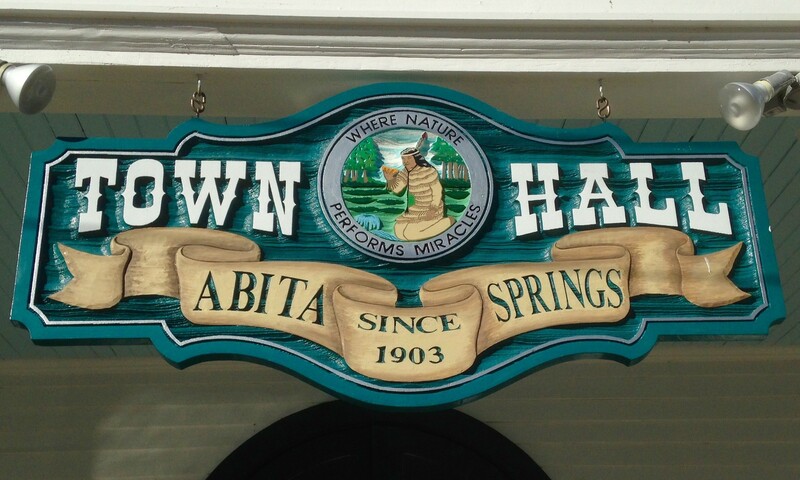 If any small towns should lead, it seems appropriate that Abita Springs, Louisiana is among the first. Legend says that its water has medicinal qualities. In the early 20th century, it was recommended by physicians for its climate and pure air. LeAnn Magee built on this history in her work with many local residents to win unanimous approval of the city’s 100% renewable electricity resolution by 2030. 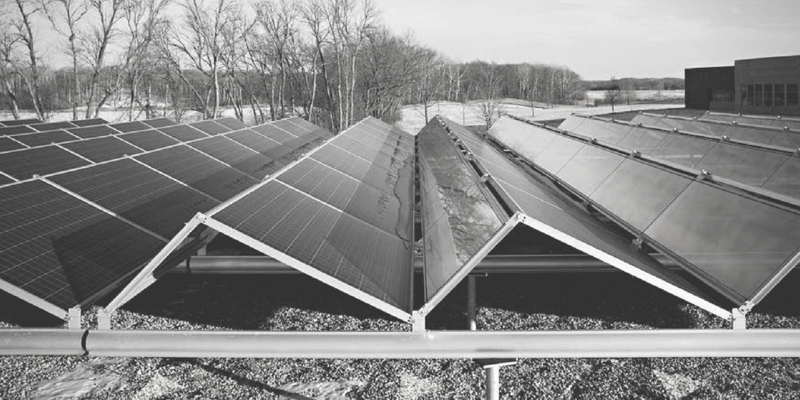 We spoke in late August about the city’s plans to reach the goal, starting with municipal buildings and community solar. I’m John Farrell, director of the Energy Democracy Initiative at the Institute for Local Self-Reliance. And this is, “Local Energy Rules,” a podcast sharing powerful stories about local, renewable energy. John Farrell: LeAnn, welcome to the program. LeAnn Magee: Thank you so much, John, it’s great to be here. And I have to tell you, I will preface this by saying that I’ve been enjoying your podcast, doing a good bit of research there. It’s a wonderful resource, so thank you. John Farrell: Oh, well thank you so much. And, frankly, it’s stories from folks like yourself that make it interesting to others, so glad that we can facilitate in putting those out there. Well let me just start with the real basic question which is, what is it that motivated folks in Abita Springs to want to make a commitment to 100% renewable electricity by 2030? LeAnn Magee: Well, I have to say that our story really starts 300 years ago, because the legend of Abita Springs says that the beautiful Princess Abita was miraculously healed by our spring water. And shortly thereafter, a physician did an analysis of that medicinal quality of the water, and found it to be such that it created a big influx of people coming to the north shore of Lake Pontchartrain to Abita Springs to enjoy that green water. So then there was 100 years of this very buoyant tourism industry where people were coming from New Orleans to escape the Yellow Fever epidemic and enjoy, what we call locally, our “ozone air.” And along with Pine Forest and that miraculously clean, sparkling water. So the water here is integral to our culture. It’s central to our town’s identity, and in 2015 an oil and gas company wanted to get permitting for a fracking well close to town. 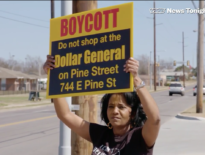 Unfortunately, this is oil and gas country so they had plenty of resources and money at their disposal to fight against local backlash. But people here, even though 7% of our population is directly employed with the oil and gas industry, and of course you know, we’re Louisiana, the mouth of the Mississippi where all the pipelines run to. Even with all that against us, people did not want to see it here. So we coalesced. We formed organized groups and fought against this fracking operation. And the mayor of Abita Springs personally fought against it. He took them to court, and we won a battle. We eventually lost the grander war, but after a test well, that fracking operation decided that it was monetarily unfeasible for them to continue. So they pulled out of operation. The price of a barrel of oil at that time was so low that it didn’t make sense for them to continue. We do expect them to be back. But really, our story is about the water. Quality of water and the quality of life that we have here in Abita Springs. So two years later, we decided we had to provide an alternative to people. If we’re asking them not to support the oil and gas industry, what can we give them as an alternative? And of course here in Louisiana, it’s solar power. The mayor was happy to sign a resolution, it was actually signed unanimously by all five council members. And we’re a year out of that now. We’re just getting our feet under us, and we have a lot to learn. John Farrell: So one of the things that I’ve been curious about is in the discussion with other cities who have made this commitment, is whether or not it was sort of driven more by internal decision-making or outside pressure. So I’m kind of curious, who was involved in motivating folks in the community to participate? You, I think, alluded to already this campaign against an oil developer as getting a lot of folks involved, but it sounds like you also had a lot of support from within city government. Was the genesis of the idea from within the city or from outside of it, and then what led to that resolution being successfully passed last year? 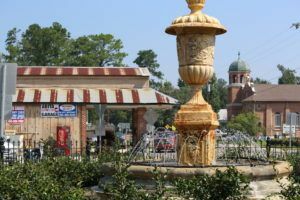 LeAnn Magee: The mayor, even though he is a Republican and this area is considered to be very conservative, he recognized the value of that image, that branding of Abita Springs with the clean water, and knew that that was something that he had to protect. I think he has provided people who have traditionally been very conservative in their politics to look at the importance of clean air and clean water. Louisiana is sportsman’s paradise. Everybody here hunts, they fish, they go camping, they enjoy our beautiful environment. And he realized that that was a huge part of our economy here in Abita Springs. So, while he was a tremendous supporter of what we were doing with “Ready for 100,” and still is to this day. I think that it allowed people who were sort of on the edge of supporting environmental causes to be heard as fiscally conservative voters. They were able to also support clean air and water and clean energy. So it provided an opportunity that really wasn’t there before. John Farrell: Now you have a couple of electric utilities that serve Abita Springs. One is a shareholder-owned utility, private company, regulated at the state level, and then you have another one that is a cooperative, which means that the customers are actually members. How have these utilities reacted to the proposal, and have you had any progress with them in discussing how you might reach this 100% goal by 2030? LeAnn Magee: Yeah. Right away we realized that we were taking about very different animals here. So our rural utility is small, they have actually 50,000 accounts, but scattered over four parishes, very large area of land that they service. I think we’re looking at one meter per nine miles, so a super, super small rural electrics are pretty traditional rural electric coop. The board doesn’t change a lot, they’re pretty consistent in how they approach their power acquisitions, and do things by the book. On the flip side of that coin is Cleco [Cleco Power]. And Cleco, as of last year, radically revamped their business model. They started out as Central Louisiana electric company, and now there are at least five separate entities under that name Cleco. They were purchased by an outside investor last year, and it sort of stymied a lot of the conversations that we were having, as a municipality, with them. So we had talked to them about doing things like EV (electric vehicle) chargers at town hall and for our residents in order that they could crunch some data about power, off-peak power usage, and that kind of thing. We had discussed with them LED lighting, and of course the bigger picture of a large solar array, utility-size array. But because of that acquisition, we kind of had to put things on the back burner and let them sit. The one that was really difficult for me was the energy efficiency piece because that, for us as a small, very limited-funded project, energy efficiency is always kind of the first thing you look at. So we’ve been kinda waiting for them to come back on board, and actually right now, at our public service commission, there’s a docket, actually two dockets that relate to us. But one that specifically address possible community solar concerns and how our investor-owned utility would be involved with that. So there’s a lot happening, and it sort of, at times, feels like a “one step forward, two step back,” process in dealing with our utilities. So we are balancing both sort of equally in our commitment to working with them and seeing how things play out. So it’s an interesting sort of recipe for how to get to 100% here in Abita. We’re a very small town, about 2,800 residents and less than four square miles in size, and we don’t have a paid sustainability director. There’s nobody who’s in charge of this specifically, we’re all volunteers. So just moving forward in making those little steps, those tiny, baby steps, is sometimes a challenge. But we’re getting there, and we’re learning a lot, which is very exciting to me. I’m sort of getting to be an energy geek, so to speak. John Farrell: Welcome to the club. LeAnn Magee: [laughing] Yeah. Thank you. Marie Donahue: You’re listening to an interview with LeAnn Magee about Abita Springs, Louisiana, as part of our Voices of 100% series from Local Energy Rules. Do you know of any folks we should interview about 100% renewable energy commitments in their community? If so, send us an email at Voicesof100@ilsr.org. That’s voices – of – 1 – 0 – 0 – at ilsr.org. Stay tuned for the rest of this episode after a short message from our Energy Democracy Initiative Director, John Farrell. John Farrell: So you alluded to, in the conversations you’re having with utilities, some of the things that you’re thinking about: LED lighting or electric vehicles or community solar. Are there other strategies that you’ve been talking about, about how the city would get to 100%, either from a policy standpoint, you know, things that the city could do by itself or a state level policy, or are you focused mostly on what it is that you could get agreement with on the utility about things that they could do? LeAnn Magee: Well, all of the above really. And that was what our first year was about, figuring out what we’re dealing with and how to move forward. So yeah, a little bit of all of the above, however I think we’ve condensed it down, specifically to community solar as being right for Abita. We’re currently engaging the co-op on a discussion about community solar, and that would be a project that is visible, that is local and that provides educational opportunities and again, that visual that helps people see that we’re moving forward. A lot of what we do is sort of in the background, and I think the public likes to see that there is movement afoot to get there. Our resolution specifically addresses our municipal buildings as being that 100% goal for 2030. So that is five buildings and 16 lift stations. We’re currently redoing our entire septic system, and so those lift stations will be, you know, we’ll need to put those off a little longer before we can address those specifically. Our municipal buildings are all under, in progress, of devising a plan for each of those. And they all look different. For instance, town hall, we are leasing channels from a local installer. The trail head may install on its own, it’s a very small building. And then the three other buildings each have their own issues to address. 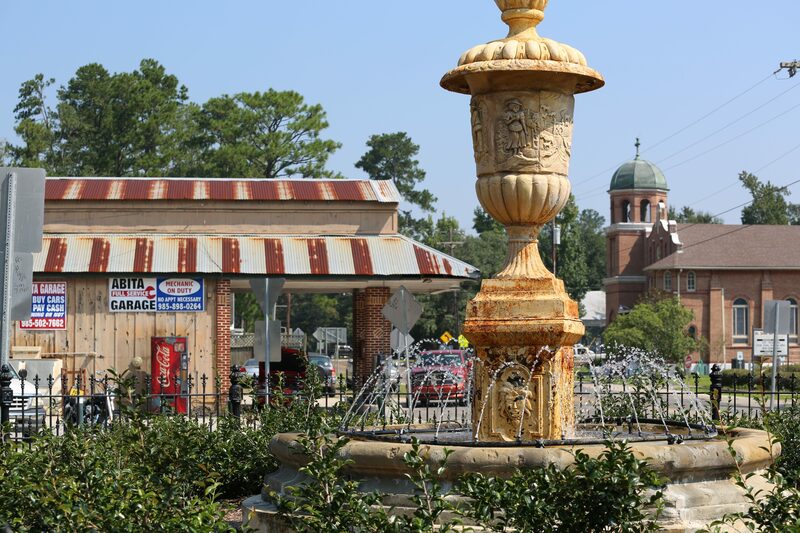 Abita Springs is a historic town, so we have historic guidelines which we need to follow for all of our historic buildings, which essentially means the entire area. That means solar panels not being visible from the street, or not on the building at all, and then of course our beautiful trees. We are a “Tree City U.S.A.” city, we’re very proud of that. We have a strong tree permitting process and ordinance, and we don’t wanna mess with that. We’re certainly not encouraging anybody to cut trees in order to have rooftop solar. So those kinds of issues led us to community solar as being the right place to start, locally, in town. John Farrell: So just to clarify, with the goal, you mentioned the resolution focuses on municipal buildings. Is it also looking at trying to get all of the residents and businesses to 100% renewable electricity as well by a certain date, or is that the subject, perhaps, of a future resolution? LeAnn Magee: Well, I think we need to clarify our resolution down the road, specifically with some ordinances addressing those issues. But the resolution, while it legally is in regard to those municipal buildings, is a, “Ready for 100,” platform. And because of that, the Sierra Club’s “Ready for 100” campaign is clean energy for all. And it’s important that we address the need to find a way to bring clean, cheap energy to everyone in town, not just in our historic district but on the outskirts as well. So while the resolution may appear to be a little more limited, the people who wrote that and who are involved in all of the steps towards achieving that, our greater mission is definitely to see the entire town 100% sustained in some fashion. If it amounts to seeing credits rather than actual amps, that’s okay. We’re willing to sort of work with it. Abita Springs is growing by leaps and bounds, so after Katrina, we were inundated by a large influx of population that looked very different than what we had originally here. And we’re needing to decide what the future looks like. 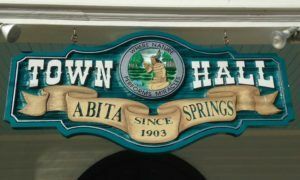 And certainly there are a lot of new housing developments cropping up around the area, and that has opened people’s eyes to the need for a master plan in Abita Springs. In fact, that was one of the more important issues arising as we head into the campaign for our council and our mayor in November. Having a master plan and addressing the renewable energy strategy, which I’m thrilled to see that’s at the top of everybody’s radar. So there are a lot of angles, again we are every day sort of reassessing what our particular recipe looks like. John Farrell: So, you mentioned this in the answer to your previous question about how you might bring this to everyone, I’m curious. Is there a specific focus, for example, how low-income customers of the electric utility would be able to participate. Like, for example, on this community solar project you’ve been talking about? LeAnn Magee: Yeah, I think that community solar is going to be such here that we get buy-in from member/owners early on, so that’s kind of what we’re doing now is amassing all this to people who are interested. And trying to crunch some numbers so that they can, we can honestly say we’re looking at one or two dollars extra on your bill every month. That’s important. That’s important right up front to do that. Abita Springs proper is such that most of our marginalized communities are really that, they’re really sort of on the other side of our town limits in unincorporated St. Tammany. Abita Springs tends to have pretty high cost of living, and so people who are of a low- to middle-income bracket tend to find housing right on the outskirts of town. So that’s also been sort of a conundrum for me, how much to address those groups? Because while that’s close to my heart and close to the mission of “Ready for 100,” it also falls outside the boundaries of Abita proper. So we want to make sure that we’re addressing that issue and finding the best way to move forward on it. But certainly community solar is one model that addresses the need to bring clean energy to, not only low income, but people who are living in shared housing and smaller housing communities. So there are a few specific areas in town that seem more appropriate in implementing a solar garden-size array, and again, we’re just sort of taking baby steps to get there. John Farrell: You know, I’d like to wrap up by just asking you if you have advice that you would offer to other communities, particularly small communities, that are interested in what clean energy could mean for them, what renewable energy could mean and how they might go about setting a goal and starting to make progress on reaching it. LeAnn Magee: The Sierra Club’s “Ready for 100,” campaign worked out really well for us, because they offer that upfront technical support, they would initiate media campaigns for us, the social media and outreach swag, lots of support for events and education. That was invaluable for our community to get started. So I would suggest that small communities start there. And then also do a good bit of research beforehand to see where your energy’s coming from and how it gets there and how the utilities feel about it. We’re finding that, in Louisiana in particular, it’s a pretty complicated mess of all the entities involved in creating energy and transmitting it. And who’s responsible for what. So you may not find any answers, but being aware of all those blocks towards progress is a good groundwork to start from. We found that we had a lot more support outside of the state. I get calls everyday from people all over the world who are interested in what we’re doing, want to be a part of it. Not only in insulation companies and third parties that want to help us facilitate actual projects, but people who wanna write about us in articles and in books. People who wanna study us. We have master’s students who want to come and do projects in town. It’s been a long road to get here. But we do have some traction at this point with policy and with state regulation, and I just really hope that we can keep that ball rolling and get there. We have 12 years and it’s not only entirely possible, it really is probable, that we will make it to 100% by 2030. John Farrell: Well, I love the optimistic look at it and I think it, as you said, the economics are in the driver’s seat in a lot of ways here that are helping communities all over the place take a more serious look at this. But not without the local leadership and organizing of folks like yourself. So LeAnn, thank you so much for taking the time to talk with me today and to help share the story that hopefully can inspire other communities to do something similar. LeAnn Magee: Oh, you’re very welcome John. Thanks for giving us the opportunity. John Farrell: This is John Farrell, director of ILSR’s Energy Democracy Initiative. I was speaking with LeAnn Magee from Abita Springs, Louisiana about her community’s commitment to 100% renewable energy. For more information on which cities have made the 100% pledge, and more about the challenges and opportunities of community solar, check out ILSR’s Interactive Community Power Toolkit and Community Power Map, both available at ILSR.org. While you’re at our website, you can also find more than 50 past episodes of the Local Energy Rules podcast. Marie Donahue: Thank you so much for listening to episode six of our Voices of 100% special series of Local Energy Rules. Tune back into the program in three weeks for our next episode in this series, where we’ll be featuring Madison, Wisconsin, and discussing how the city plans to reach its 100% renewable energy commitment. 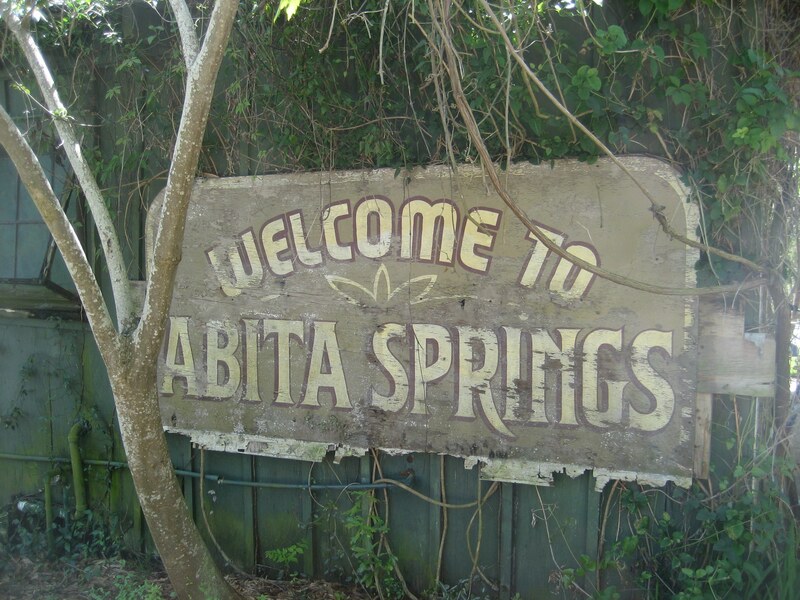 Locate other cities and towns like Abita Springs, La. that have made 100 percent renewable energy commitments and explore local and state strategies to advance clean energy goals, using ILSR’s interactive Community Power Map.